Alessandria is situated in 90 km southeast of Turin, on the bank of the river Tanaro, in Piedmont. The population is about 90000 people. Alessandria is founded in 1168 at the place where earlier settlements had existed before it appeared. Writer Umberto Eko, artists of Giovanni Migliara and Angelo Morbelli were born in Alessandria. The basic industries in Alessandria are the metal-processing and jeweler industries. Tourism is well developed in the city. Ryazan and Alessandria began cooperating in 2006. At that time "the Protocol of intentions" was signed. It presupposes constant exchange of information between cities, carrying out concerted exhibitions and fairs, cooperation between educational and scientific institutions, the cultural exchange between theaters, museums. The parties sent delegations to each other repeatedly. Having been invited by Italian side, the Ryazan delegation visited Italy at the opening of the Olympic Games in Turin in 2006. The exchange of delegations of schoolboys and students began in 2007. Bressuire is a city in the Deux-Sèvres department in Poitou-Charentes region. It is located between the cities Nantes-Poitierss and Angers-Nor, in 100 km from Atlantic beaches. The population is 19 100 people. Nowadays "Big Bressuire" consists of the association of 9 communes. Horned cattle animal industries are of great value in the region. Bressuire is called "the meat country." In Bressuire there is the association of factories of automobile accessories "Farnier Penin"and the association of factories of office furniture "Ronior," two factories of the furniture manufacture, three factories of tailoring, two factory associations of a hardware and boiler manufacture. In Bressuire there are 11 secondary and specialist educational institutions, and the Medical center. The partnership contract between Ryazan and Bressuire was signed in 1997. Now there is an intensive cultural exchange between cities. Ryazan pupils, students, writers, the Ryazan chorus go to Bressuire. French delegations visit Ryazan. In 2007 the anniversary of 10 years` partner relations with Ryazan was celebrated solemnly in Bressuire. Now the road site with a circular motion is opened in Bressuire and named for Ryazan. Lovech is an administrative center of Lovech district. It is situated in 150km from the city that is called Sofia. Lovech is one of the most ancient and most interesting cities of Bulgaria. The population is about 50 thousand people. In Lovech woodworking and pharmaceutical industries and mechanical engineering develop. The animal industry prevails in the agriculture. 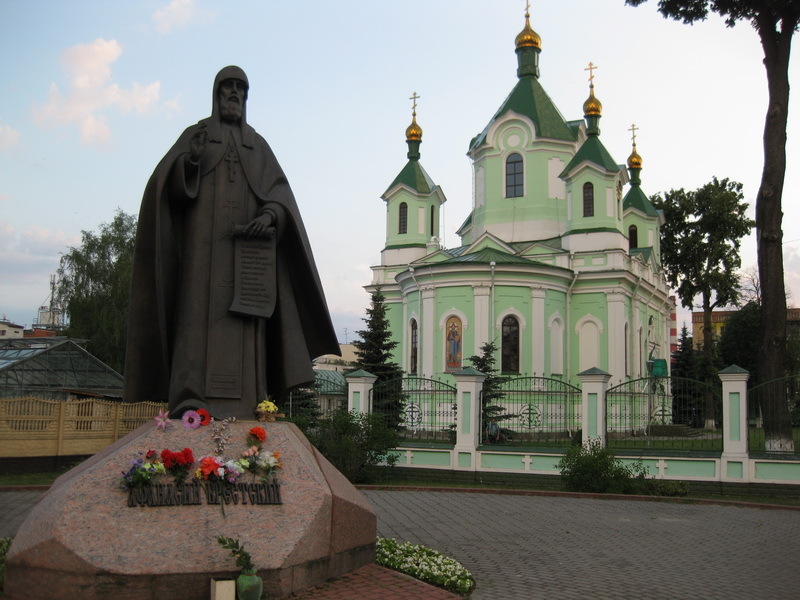 Partner relations between Ryazan and Lovech have lasted more than thirty years. Delegations from Bulgaria visited Ryazan repeatedly. "The Protocol of intentions" has been signed by parties. It presupposes constant exchange of information between cities, carrying out concerted exhibitions and fairs, cooperation between educational and scientific institutions, the cultural exchange between theaters, museums. The city is located in the north of the Federal land in North Rhine-Westphalia. The nearest big cities to Muenster are Osnabruck (44 km to the north), Dortmund (61 km to the south). Taking into account the sizes of its area, Muenster takes the 16th place among cities of the west part of Germany. It is an administrative center of Westphalia.. In Muenster 82 industrial enterprises are located. There are no big enterprises, and only a small amount of average ones, such as BASF, Coatings AG, the branch of producing varnishes of the firm BASF, the paint and varnish factory Brillux, and Westfalen AG. Muenster is considered a University city. The total number of students is about 50000. The largest high schools of the city are the Westphalia University named for Wilhelm, the higher vocational school of Muenster, the Academy of Arts. The Westphalia University named for Wilhelm is the largest employer of the city. (13 000 employees, including University clinic`s staff, work there). The University was founded in 1780. 10 hospitals, 8 theaters, 30 museums, 6 libraries are located in the city. Two daily newspapers are issued. - The socially useful union of assistance "Radio-bridge." New Athos is a city in Gudauta district of Abkhazia that is located at the coast of the Black sea. It is situated in 21 kilometer to the northwest from the capital of Abkhazia, Sukhumi. The population is 1,3 thousand people. The city has the ancient history. For the first time it was mentioned in III century. Early names of New Athos are Psyrtskha, Anakopia. Tourism is a basic industry of economy of Abkhazia. The most famous Abkhazian sights are the ruins of antique cities, including Anakopia (in New Athos), and the New Athos monastery. Well-known New Athos cave is one of the largest caves in the world, a huge karstic cavity. Its sizes compete with the greatest vaults of the world. It is located under a slope of Mountain Iver. The Anakopia Fortress is the defensive building located in New Athos in Mountain Anakopia. It is the most full remained ancient fortification in the territory of Abkhazia. In the fortress there is an artificial inexhaustible well. It is supposed to have been built in the ancient time by builders of Anakopia. New Athos and Ryazan concluded the Cooperation agreement on June 25, 2009. The agreement presupposes trade-economic and cultural-social cooperation between the two cities, holding concerted exhibitions and fairs. The agreement is also urged to promote a scientific and cultural exchange between Ryazan and New Athos. Ostrów Mazowiecka occupies the territory of about 22 sq. km. The city is situated in the northwest of the Mazowiecka province, on the junction of important international, national and regional roads. The population is about 24 thousand people. About 2000 economic enterprises are registered in the city. Ostrów Mazowiecka is a business city. The factory of accessories manufacture, the cosmetic and the pharmaceutical enterprises, the agricultural cars making and the developed building industries are located here. The center of cultural life of the city is the Municipal cultural center where some clubs for children and teenagers work: dancing, tool and vocal groups. Folklore festivals, various cultural events, including Poland national dancing festival are held in the Municipal cultural center. Since 1928 the Public library named for Maria Dabrovsky has been collecting book funds, organizing exhibitions, concerts of classical music. The library collects documents about the city and life of its dwellers. There is its own orchestra in the city. Ostrów Mazowiecka is a young city. There is a lot of kindergartens, schools, and a music school. Xuzhou is situated in the northwest part of Jiangsu province. The city occupies an important position, connecting economic zones, the delta of the river Yangtze with a bay of the Bohai Sea and the east coast with the central and western parts of China. Xuzhou is the central city of the eastern part of the Eurasian isthmus and an economic zone of Huaihai that consists of 20 cities and unites territories of Jiangsu, Shandong, Anhui, and Henan with a total area of 176 000 sq.km. The population is 9 168 500 people. Xuzhou is a junction of railway communications and an important strategic point, an industrial and commercial center. Approximately 1 thousand joint ventures with 100 countries of the world are made in the city. Leading industries are the mechanical engineering, the electronics, the chemical manufacture, the manufacture of building materials, the coal mining, the textile industry. The large enterprises of the city are the cementmaking, skinnery, knitting factory. In the city there are 8 universities in which 74 600 students study. Besides, there are 28 research institutes in which over 80 thousand experts of the higher and middle class work. The contract between Ryazan and Xuzhou was signed in May, 1998. At the moment the parties carry on negotiations. Chinese want to invest resources in building in Ryazan, including objects of social sphere. "The Protocol of intentions" has been signed. It presupposes constant exchange of information between cities, carrying out concerted exhibitions and fairs, cooperation between educational and scientific institutions, the cultural exchange between theaters, museums. 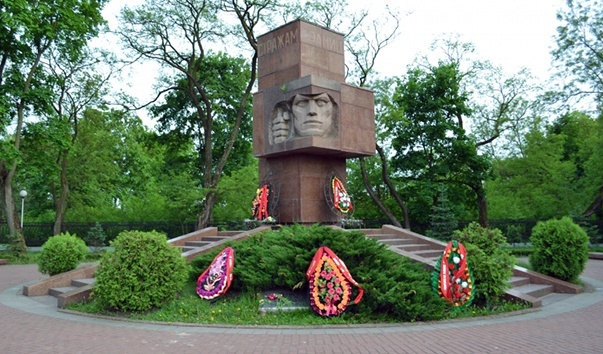 Brest is a city on the south-west of Belarus, an administrative center of Brest province and Brest region. Territory of the city is 146.12 sq. km. As of the 1st of January 2014 the population of the city was estimated to be 330 934 people. The city is situated in the south-west area of the province where Muhavets River meets Zapadny Booge, near the border of Poland. It is also a large railway junction, a river harbor on Muhavets River, an important highway junction. Brest is a significant center of manufacturing industry of the south-west of Belarus. Among machine-building enterprises the most distinguished are electro-mechanical, electro-technical and electric-bulb manufacturing plants, and a plant of gas-fitting equipment. There is a number of consumer goods manufacturing enterprises. Food production is developed as well. In 2012 Ryazan city and Brest signed a Memorandum of Intentions covering further deepening and expansion of mutual economical, cultural and social relations and intercommunication, creation of favorable conditions for development of partnership. On the 25th of June 2014 Ryazan and Brest, within the framework of a “Berestye-2014” City Day celebration, signed a partnership agreement between Ryazan and Brest. It holds signatures of the Head of Municipal District, Ryazan City Duma chairman Andrey Kashaev, and the chairman of Brest Municipal Executive Committee Alexander Palishenkov.